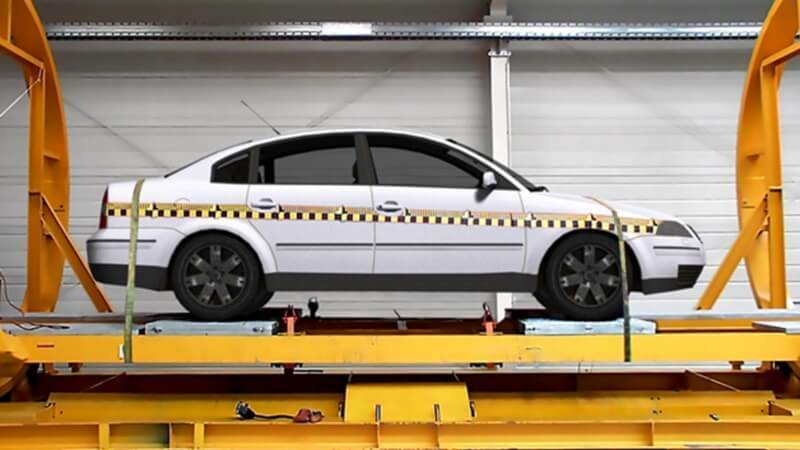 Test rig suitable for the measurement of liquid leakage before and after a vehicle crash test according to FMVSS 301, FMVSS 305, ECE R34 and GOST 34003. 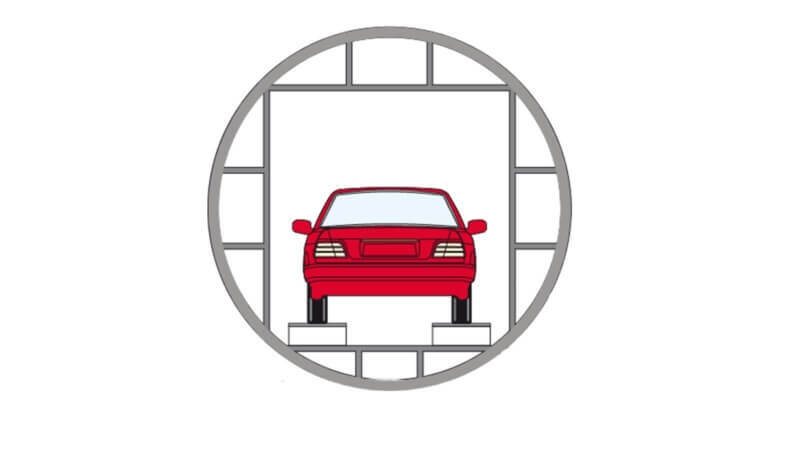 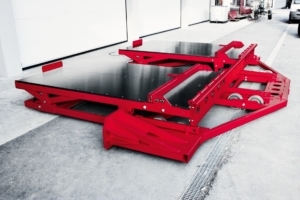 The static rollover-test system is suitable for fuel leakage tests of test vehicles before and after a crash test. 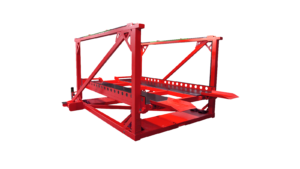 The system consists of a torsion-resistant welded design including a moveable base Frame and two pivot-mounted steel rings with a diameter.